We are proud to offer this unique opportunity to teach English to monks and nuns in Nepal and to be immersed in the Buddhist culture in Kathmandu, Nepal. 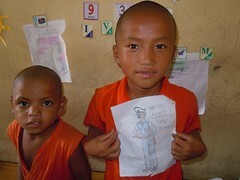 If there is anywhere to experience authentic monastery/orphanage life, Nepal is it. For those who only have 10-14 days to travel … we can provide this experience for you. If you have longer to give, this program can run as long as 5 Months. Volunteer teachers from Plan Volunteer Nepal help to contribute to the education and personal development of both novice and fully ordained monks and nuns while still supporting the culture and Buddhist practice. Many of the novice monks and nuns are orphans. Some choose to leave the monastery/orphanage when they are older, therefore any additional enhancement in their education will help them in their future lives, which is crucial for them and their culture. English language skills are valuable not only to those who may leave the institution in the future but also to help future monks and nuns build ties with monasteries and Buddhist organizations in other countries as well as other faiths and also to draw attention to the urgent need for support. When Tibetan Buddhists speak to their counterpart in Nepal, Tibet or anywhere else in Asia, the use English as the bridge language, so it is a very important skill even within faith-based communities. The main duty of volunteers for this program is to teach English. The age of the student novices [monks and nuns] will range from 5 upwards. The overall general level of English is very low. Attendance at classes is voluntary and class sizes will vary from day to day, so this program demands volunteers who are extremely flexible and patient. When not teaching, the volunteer teachers are responsible for planning lessons, conducting workshops, and organizing games and other activities. If you happen to be teaching just the novice monks and nuns, outside of class time you may also be asked to help supervise extra-curricular activities, depending on where you are placed. In addition to teaching monks or nuns, volunteers may also teach at schools run by monks and nuns whose classes including disadvantaged or orphaned youth. 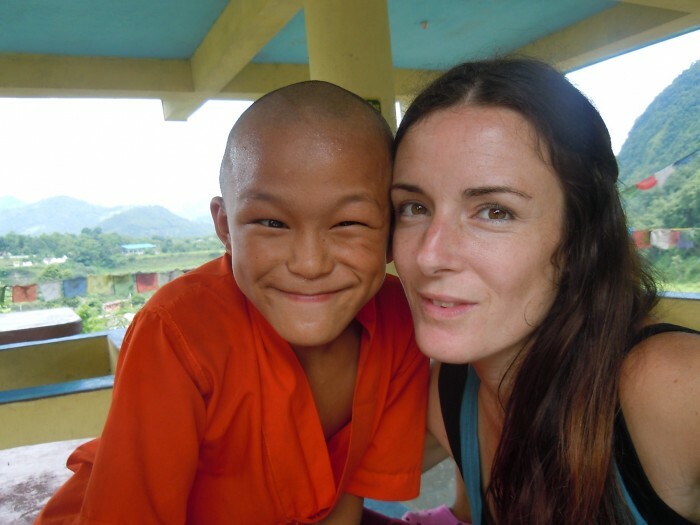 This will be part of the volunteer’s experiences in addition to teaching actual monks or novice monks and nuns. Attendance at classes is voluntary and class sizes will vary from day to day, so flexibility is important. Volunteers are often left to their own devices when not teaching and will be responsible for planning lessons, conducting workshops, and organizing games and other activities. Volunteers may also be asked to help supervise monastery chores or additional activities depending on where they are placed and the needs. If this does occur, it will only be in limited instances. Skills required: Volunteers must have good English (limited-working) proficiency. Experience teaching is a plus, but not necessary for this program/placement. Volunteers must observe the rules and regulations of the monastery, be respectful and polite to the teachers, monks, and local people. Start dates: Flexible, minimum program placement is 1 week and maximum length of this program is 5 months. *Contact us if you have any questions about this program, we would love to hear from you!